Love, Mrs. Mommy: Baby Cool Makes Baby Proofing Delightfully Adorable! Baby Cool Makes Baby Proofing Delightfully Adorable! 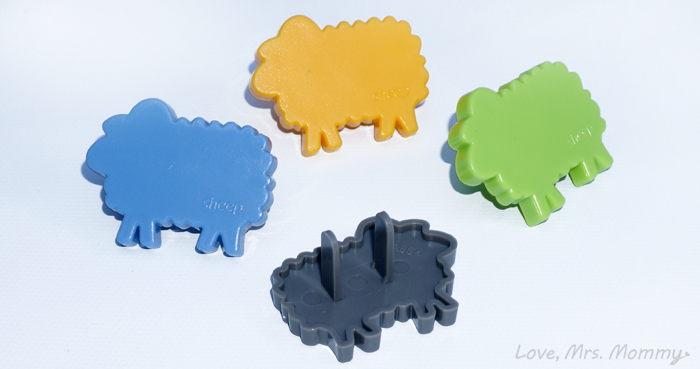 I received Baby Cool Sheep Outlet Covers at no cost to facilitate this review. All opinions are my own. This post contains affiliate links. Before you know it, your little newborn baby has become mobile. Where did the time go?! When that happens, you know it’s time to start the ever-important baby proofing! That doesn’t mean you have to settle for boring items to proof your home though. Baby Cool offers the cutest little outlet covers I have ever seen! I am excited to partner with them to tell you all about their adorable line! Baby Cool’s oh-so-cute outlet covers have four to a set and come in four sweet animal shapes. These animals include an elephant, cat, dog, and sheep! Plus, each pack contains four fun colors! Now you can pass on those boring white or clear covers, and style-up with these beauties! These safety cover plugs are not only delightful and cute to look at, but they help keep your children safe from dangerous electrical shock. All you need to do is place the outlet plug into an unused power outlet, and presto, it’s as easy as that! Baby Cool’s safety devices are made from quality ABS and have been tested for safety and durability. And although there is no substitute for adult supervision, these do make for a good deterrent. Important tip: please discontinue the use of this product once your child has figured out how to remove it. These fun animal-shaped covers are a cute addition to any room. They brighten up the space and add a whimsical touch. Perfect for any room in the house, but would look extra special in your baby’s nursery. Headed to a baby shower soon? These would make a special gift and be the talk of the party! Everyone I have showed them to, thought they were absolutely adorable! With these covers coming in four fun animal shapes and colors, you can collect all four styles and mix and match them up all around your home. Being safe, is animal-tastic! Connect: Find out more about Baby Cool by visiting their Facebook page and following them on Instagram. Buy It: You can purchase these safety covers on Amazon! now these are just flippin too cute! we don't have babies anymore but just might get them cuz they are that cute!!! Ahhh!! Omgosh they are SO cute!! I kind of want them now even though I don't even actually really need them anymore at the moment! What a clever idea instead of the clear boring plastic ones! These are way more fun than the boring little wall plugs I had to use with my daughter! Now these are adorable. Way better than having good those boring, clear or white covers! I like this. So cute.